The Accompany Project is an initiative that aims to train thousands of New Yorkers to disrupt violence – particularly against Arab, Muslim and undocumented residents – and to organize for stronger, safer neighborhoods. The Accompany Project started in the wake of the 2016 election. With hateful speech and actions on the rise, we asked a small group of New Yorkers if they wanted to step up to accompany their neighbors – whether Muslims, immigrants or those otherwise likely to be a target – on their commute. The response was overwhelming – over 8,000 strong! 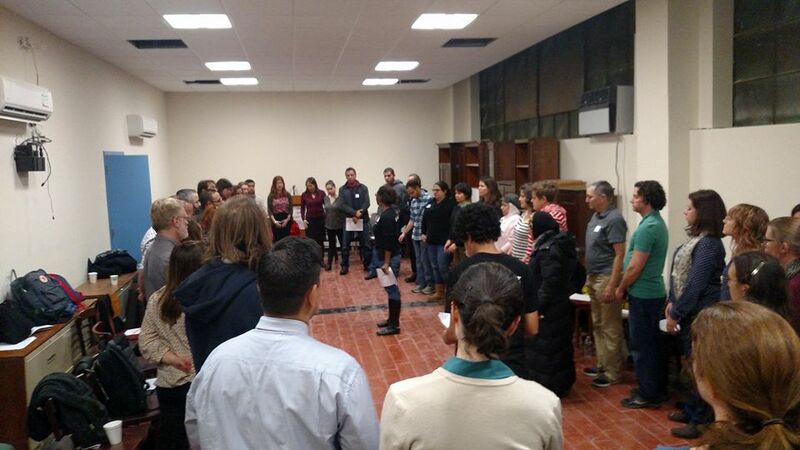 Today we teach Bystander Intervention and Organizing 101 across the city, while supporting neighbors as they organize to combat racism and Islamophobia where they live. Trainings are in high demand, and we're a volunteer team. But we're committed to training as many New Yorkers as possible.